Spin Again Sunday is back! 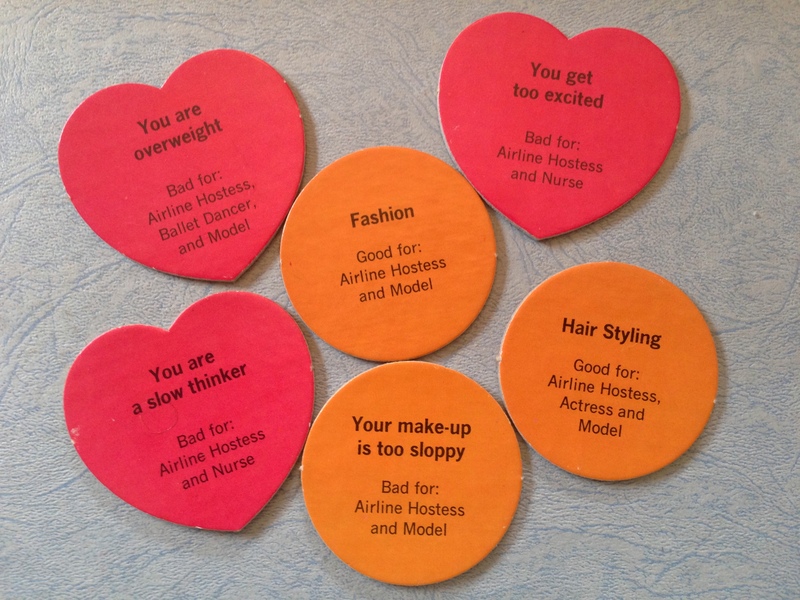 After a long hiatus–for which I apologize–I return with a game that explores the full gamut of careers available to women–ballerina, airline stewardess, teacher, model, nurse, and actress. I suppose they figured that would keep Gloria Steinem off their backs. 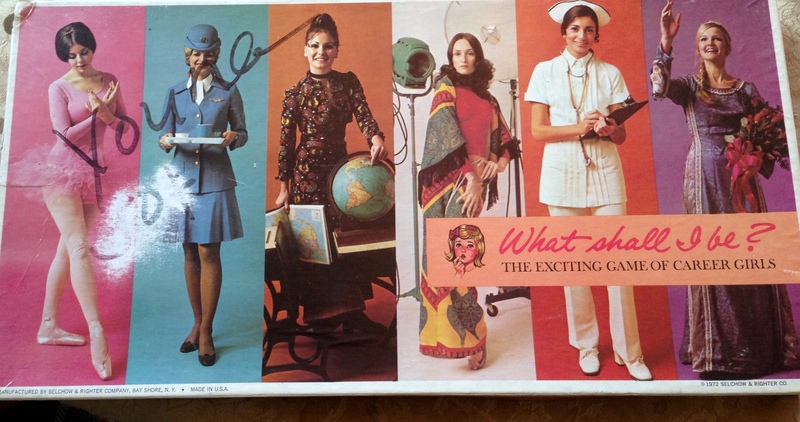 Game Board: Drawings on the board–copyright 1966–show somewhat more conservative versions of the career girls than the full color photos on the 1972 box. Game Pieces: The pawns are your basic colored plastic items. The game also involves three kinds of cards. School Cards represent the formal training needed for each career. Game Play: Players move around the board and collect cards according to the spaces on which they land. 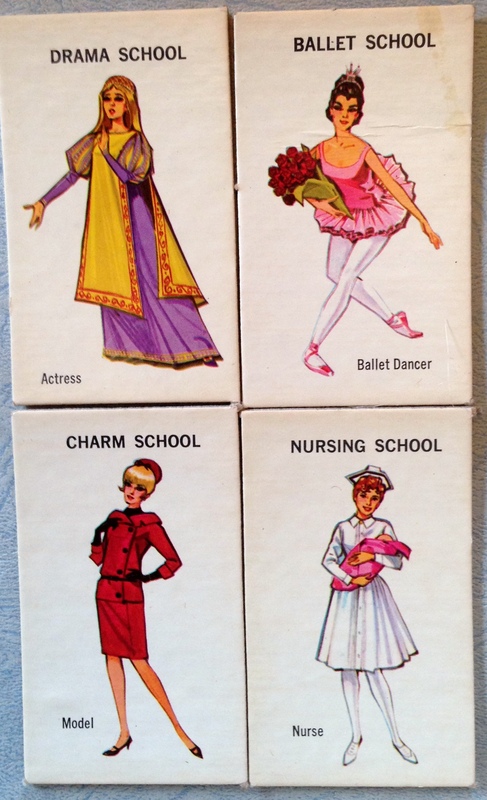 The first player who collects four school cards for one profession, plus two Subject Cards and two Personality Cards that support that profession wins. My Verdict: As silly as it seems now, this game would have appealed to me when I was 8 or so. Remember those cheap toy doctor’s and nurse’s kits that you could buy anywhere? My mom was always trying to raise my consciousness by buying me the doctor one, but I always wanted the nurse version. 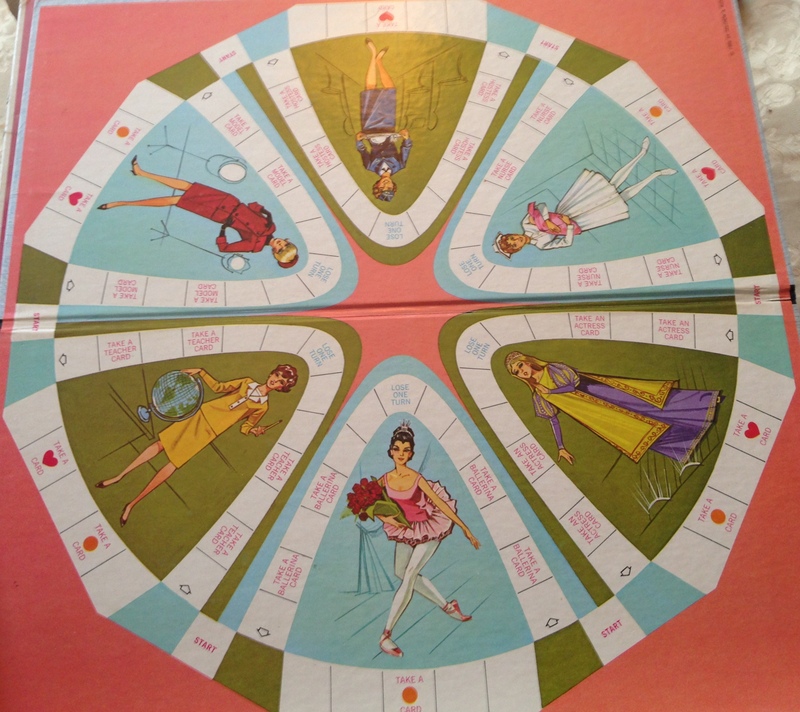 This entry was posted in Spin Again Sunday, Toys and tagged 1970s, Board Games, Feminist, Games, Nostalgia, Retro, Toys, Vintage, Vintage Board Games, Vintage Toys.